Naše polská dobrovolnice Magda Bieniak, podobně jako Malte a asi každý, kdo přijíždí na Evropskou dobrovolnou službu, se brzy po příjezdu účastnila soustředění EVS. Také byla v Děčíně a za ten týden se dozvěděla něco o České republice, o její kultuře, historii a jazyce, a blíže poznala ostatní účastníky EVS u nás. Podrobnosti si můžete přečíst v angličtině. Two weeks ago I was on on-arrival training. 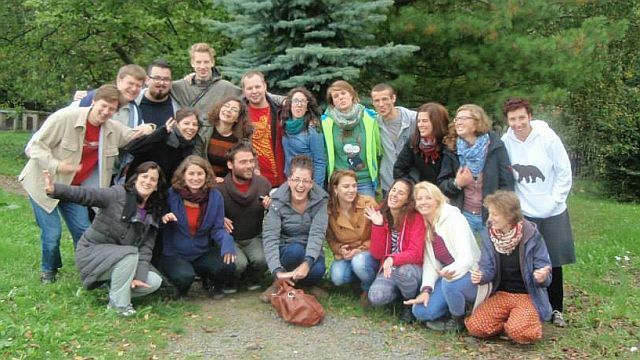 This training lasts for 6 days and gives opportunity to meet other volunteers, who are on EVS in Czech Republic. My on-arrival training was in Decin, city which is near German border. There were a lot of volunteers, about 27. Most of them were from Spain and Germany. I was only one person from Poland. The first day was presentation of the volunteers. We described, from which country we are, what are our hobbies etc. The trainers told us more about EVS program, about opportunities which gives us EVS. Our days started at 8 a.m. After breakfast we had a lot of activities, Czech language lessons, lessons about culture, history of Czech Republic. In free time we got to know culture of other countries. We talked about diffrences of our cultures. Sometimes we had to prepare dinners. We were split into the groups and we prepared our traditonal meals. And as there were a lot of Spanish people, we ate mostly meals from Cuisine Mediterranean. So it was tasty and healthy. Besides delicious meals I will remember a lot of fun and nice view as well. We often walked to the mountains because Decin is located in the mountains - Tiské stěny. We also visited the center of the town Decin. Week in Decin was full of memories. 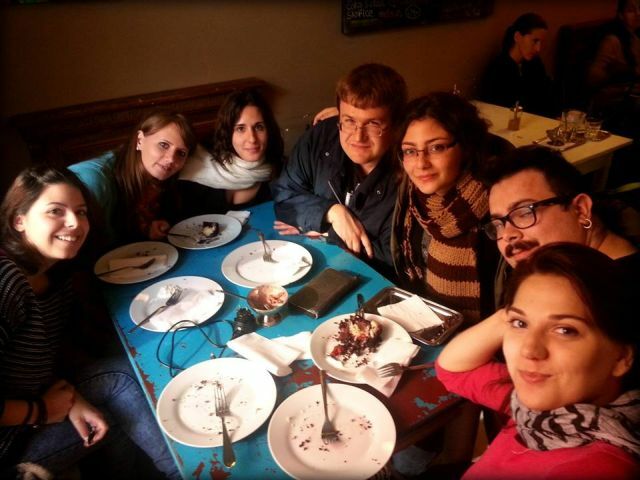 I met a lot of EVS volunteers who live in different regions of Czech Republic now. I would like to visit them and get to know Czech culture better. And this on-arrival training gave me lot of motivation and helped me to realise me what exactly I want to achive during my EVS.